This is a great example of a renovation of a civic building for residential use. While these opportunities do not come up very often, but when they do, it is important to get the details right so their heritage is not forgotten. 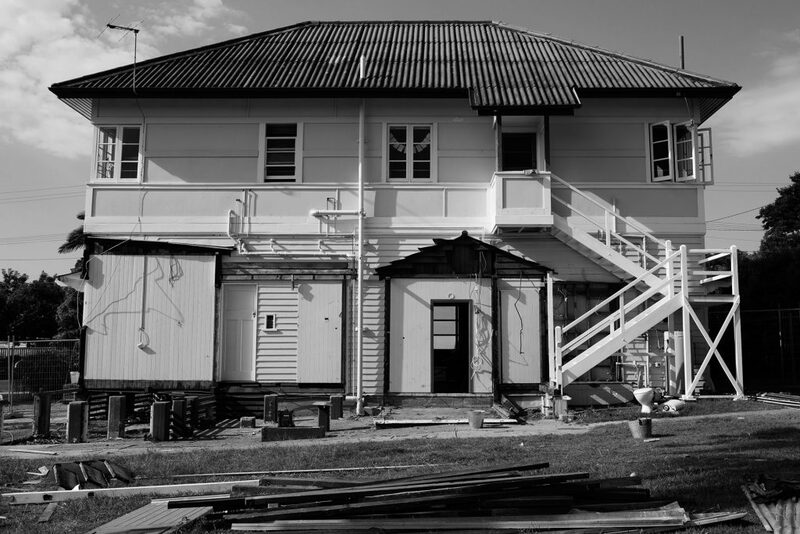 Wynnum Fire Station is a heritage-listed former fire station located in the city of Brisbane, Australia. It was initially designed by Atkinson and Conrad and built from 1922 to 1938. The original building was described in its heritage report as “ a modest, functional civic building”. The two-storied timber framed building housed the station facilities on the ground floor and had a residence for the superintendent on the first floor. This combination of station and residence was the typical design for fire stations in Brisbane at this time. 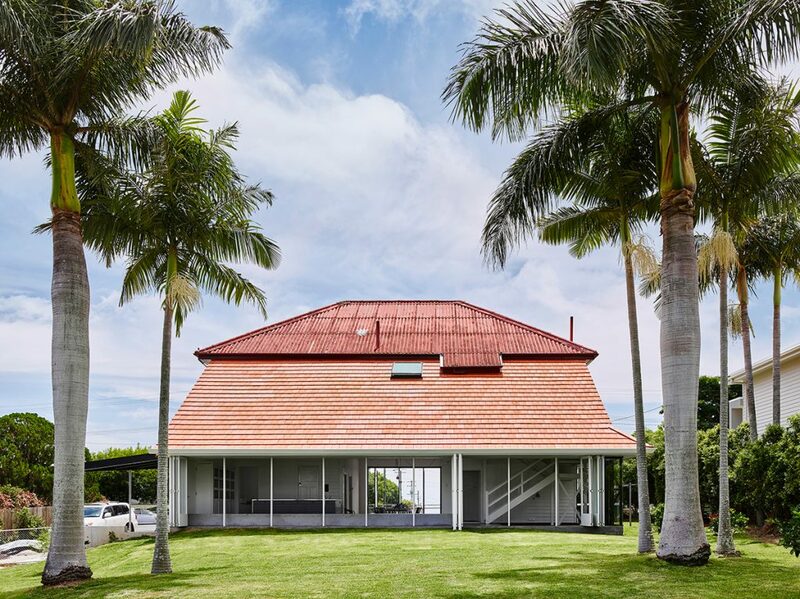 The original structure was clad with fibrous cement sheeting on the first storey, timber weatherboards on the lower storey and had a corrugated, fibro-cement sheeted hip roof. 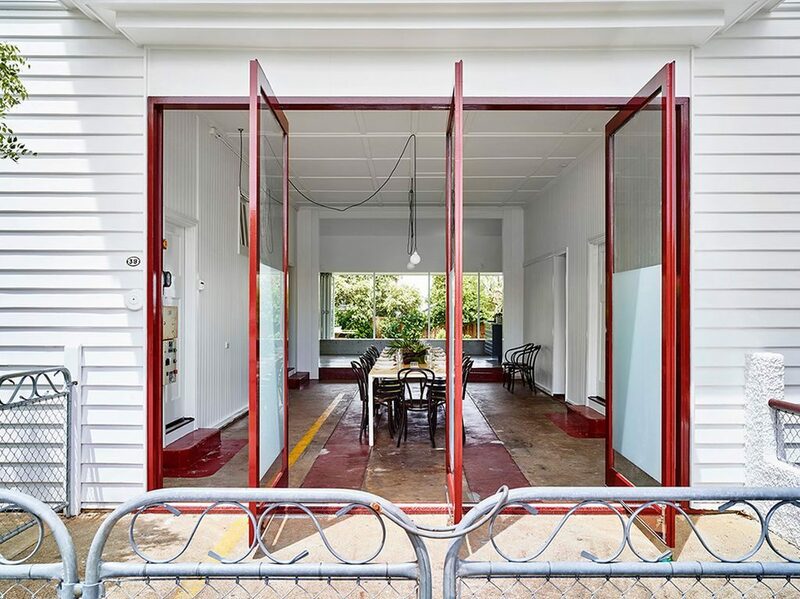 On the first floor a central, open verandah balcony projects over the engine room entrance with “Wynnum Fire Station” painted in red across it. The building continued to operate as a fire station until 2004 when a new facility for the service was built elsewhere and this property was sold into private ownership. The more recent award winning renovation by Owen Architecture involved the creation of an open plan kitchen flowing into a dining area. 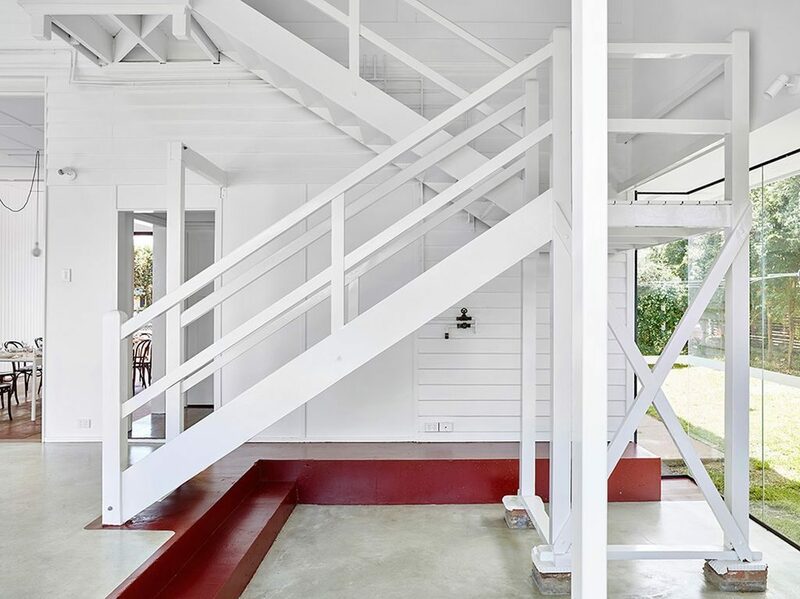 The architect has used exposed light fixtures and white walls with touches of fire engine red as a subtle reference to the home’s original purpose. The changes have been isolated to the rear with a new open plan space introduced that connects the two levels integrating the existing outdoor staircase. We particularly love the choice of contemporary tiles which complement yet read as new against the existing.